POOCHES and puppies from all over the region are in need of a new home. 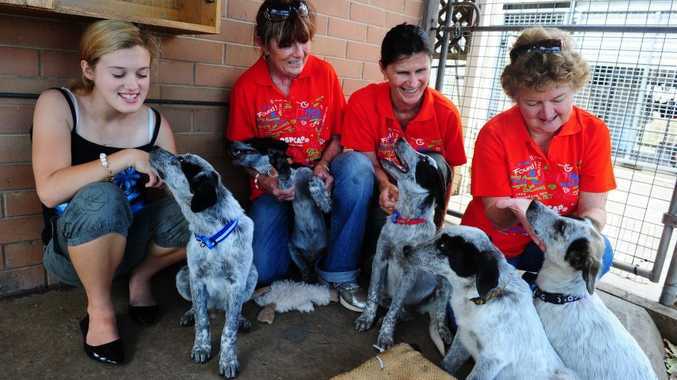 And they will be on their best behaviour at Friends of RSPCA Gladstone's Dog Adoption Day tomorrow, as they attempt to win the hearts of potential owners. Friends of RSPCA president Judy Whicker is urging the community to open their hearts and their homes and consider adopting a new best friend. She said the furry four-legged friends come fully-vaccinated, micro-chipped and desexed. If you need a new best friend, head to the adoption centre, which is opposite the NRG Power Plant from 9am-noon tomorrow. For more information phone Judy Whicker on 0417 065 394.